TOKYO -- Mitsubishi Motors today said that improper data for fuel usage calculations might have been used for other models in addition to those it has already disclosed. Mitsubishi last month admitted to overstating the fuel economy readings in four of its mini-vehicle models. The automaker today said it suspected improper data was used for models among the nine current ones on the market as well as models it no longer sells. 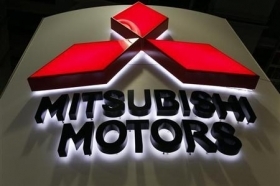 Mitsubishi Motors earlier in the day submitted an additional explanation to Japan's transport ministry after officials found more irregularities with its vehicles following a raid on the company's research facilities last month.